Product Description: Following the popular first edition, this all-Color edition features updated chapters that reflect the changes and advances in products, techniques and laws. 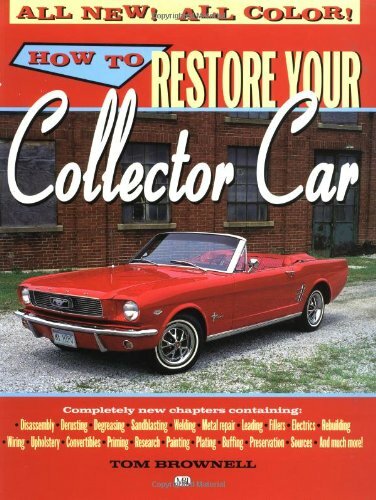 This hands-on guide covers all major restoration processes in an easy-to-understand, easy-to-use format. Expert chapters explain tasks such as degreasing, welding, metal repair, electrics, painting, and more. Step-by-step color photos help you restore it right and save money too!